While beer for breakfast might sound like a bad experience you had during pledge week in college, we at PorchDrinking see craft beer as a sophisticated flavor profile that is perfect for any brunch menu pairing. 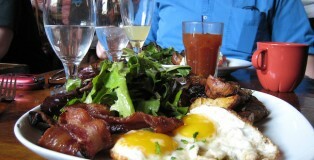 Face it, bloody marys and mimosas are so passé. Rich, velvety coffee stouts and roasty, robust porters go perfectly with our favorite brunch bites. 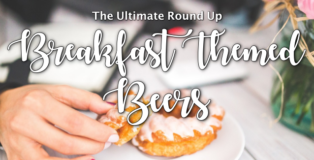 Here’s the ultimate roundup of our favorite breakfast-themed beers. Weekend brunch. A meal which beseeches quick decision making and hyper-analysis of a restaurant’s menu. One is often faced with the difficult question: should I order breakfast or lunch?